Logo Design Get a high-end brand for your business. 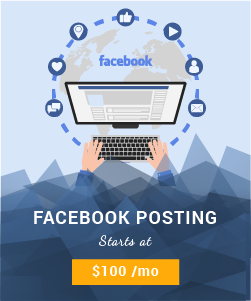 Facebook Advertisement Translated into SALES! SEO We treat your business like our own. Hosting Packages To fit any need or budget. 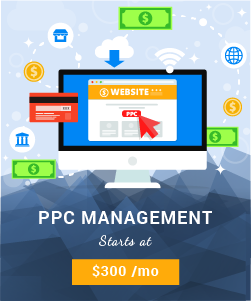 PPC Get your ads at the top of search page. 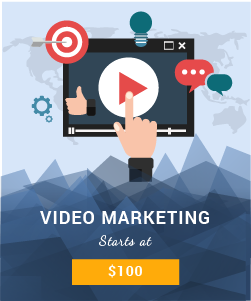 Video Marketing Build trust and recognition. Does My Host Deluxe offer phone support? Yes! Phone support comes standard with our packages. We offer email and live chat support options too, as well as My Host Deluxe staff members. Are your servers Unix, or NT? Our dedicated hosting servers currently come with the default operating system: CENTOS 6.7 x86_64. No, due to security reasons we do not offer telnet or shell access. Nevertheless, we are able to unzip files on the server using our file manager as well as the ability to configure cron tasks. Can you get my website listed in Google? Certainly, once you create your site, we simply post your URL to Google site submission page. Note: It may take a few days to a few weeks to get listed. Can I see who is visiting my site? Yes, a report is generated periodically. Which shows the number of visits and from which country they were made. We accept cash, check and the following types of credit card: VISA, MasterCard, American Express and Discover. The estimated period for each type of hosting packages is within 24 hours of purchasing. Is tax included with my plan? No. We will not place ads on your site. Do you allow ads on my website? Yes, we allow sites have commercial advertisements. Yes, you can password protect the directory within cPanel. You can cancel or close your website and account at any time. To do so, call at your agent in My Host Deluxe. Copyright © 2018 My Host Deluxe - All rights reserved.